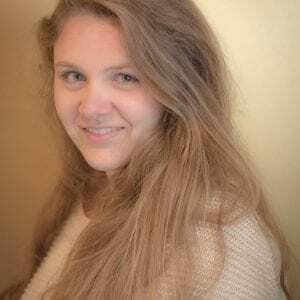 Liz Knueven is a writer for LendingTree. For those looking to buy a vehicle that blends the best of a car and sport utility vehicle, crossovers have become an incredibly popular option, and automakers are adjusting their lineups to meet demand. Ford says 90% of its models will be trucks, sport utility vehicles and commercial vehicles by 2020, nearly forgoing sedans altogether in the upcoming model years. General Motors’ 2018 report showed crossover sales of more than 1 million across all brands in the U.S. alone, up 7% from 2017. With new releases inspired by this trend, it means more crossover options in 2019 than in previous years. What is a crossover utility vehicle? Though “crossover” and “SUV” are often used interchangeably, that’s not exactly true — crossovers are built on a car platform, as opposed to the truck chassis that underlay larger SUVs like the Chevrolet Tahoe and Ford Expedition. Having a car-based chassis gives the crossover an edge in fuel efficiency, while still providing the increased cargo space and ride height that many want in an SUV. It also doesn’t hurt that gas prices have stayed below their 2015 peaks, helping to boost sales of both crossover utility vehicles (CUVs) and SUVs. Here are the 13 to look for if you’re considering a crossover for your car shopping in 2019. Mileage is a factor, as are high ratings from Kelley Blue Book (KBB) experts, Edmunds consumers and the National Highway Traffic Safety Administration (NHTSA) and/or Insurance Institute for Highway Safety (IIHS). For the consumer ratings, we’re also noting how many reviews have been posted at time of publication; scores are up to date at time of publishing. 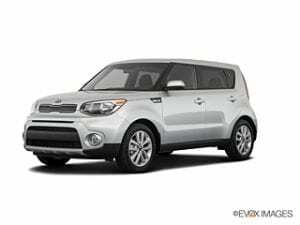 Though largely unchanged coming into 2019, the Kia Soul has style that attracts drivers both young and young-at-heart, in addition to impressive safety ratings and an all-electric option. A fun exterior with bold and even dual-tone color choices give it a unique personality, while interior upgrades like speaker lights which change color and pulse to the music (available on the Soul Plus and Exclaim models, starting at $1,500) bring that personality into the cabin. Thanks to its unusual shape, the Soul boasts more interior room than its competition. 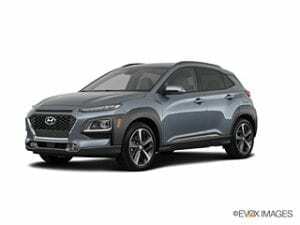 Bright and bold, the Hyundai Kona brings technology, safety and entertainment features in a small package (and small price tag). It’s worth noting that the Kona offers standard features that would generally be an upgrade for rivals, especially for a starting price under $20,000. The Kona includes as standard forward collision-avoidance assist, lane-keeping assist and driver attention warning, among others. Also notable is its great gas mileage, boasting a combined 30 miles per gallon. The Kona will have an affordable 258-mile battery electric version soon, arriving later in 2019. 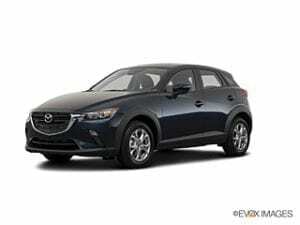 The CX-3 is notably athletic for a crossover, avoiding sluggish acceleration thanks to a 2.0-liter engine. The CX-3’s infotainment system lacks technology features like Android Auto and Apple CarPlay, but many advanced driver assist features are standard. Rear seat and cargo space are surpassed by the Honda HR-V, but a more nimble driving experience and available all-wheel drive compensate for those whose rear seats are rarely occupied. Not to be confused with Honda’s larger CR-V, the Honda HR-V is a close competitor for the Toyota CH-R. Both are four-door crossovers, but the HR-V offers more cargo space and optional all-wheel drive, which might sway prospective CH-R owners. New additions for 2019 include an improved infotainment system and more features in the Honda Sensing driver assistance suite. Thoughtful storage space is this car’s strong suit, with a good amount of cargo area and adaptable space for long or tall items. The CH-R is an option for those who want a crossover that’s smaller than the RAV4. A year after its 2018 debut, it now offers a good amount of standard safety and information technology for its price point. While Toyota drivers may find a sportier handling experience than they’re used to in a Toyota SUV, a big drawback is that the CH-R doesn’t offer all-wheel drive. With just 19 cubic feet of cargo space, it’s also not competitive in terms of space. 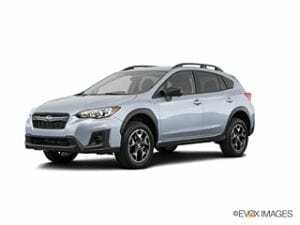 The Subaru Crosstrek is undoubtedly one made for safety, as all but one of the brand’s vehicles was named as a top pick by the IIHS in 2019. Higher ground clearance helps improve the Crosstrek’s off-road performance. Like many of Subaru’s other vehicles, including the larger, more wagon-like Outback, the Crosstrek has standard all-wheel drive, a rare combination considering the plug-in hybrid option. The Outback, on the other hand, is able to handle more rugged conditions and tow up to 3,000 pounds with the six-cylinder engine. The Tucson puts an emphasis on safety, with top scores and an abundance of standard safety features like a rearview camera. It also has those convenient technology features, including Apple CarPlay and Android Auto included. Like all Hyundais, including the earlier Kona, the Tucson comes with a 10-year, 100,000 mile warranty. Upgrade options include: blind spot monitoring, rear cross-traffic alert and all-wheel drive. The 2019 Niro is the EPA’s highest-ranked crossover for fuel economy, as even the base model is a hybrid which gets about 50 miles per gallon combined. The 2019 Niro Plug-In Hybrid receives about 100 MPG equivalent, but starts around $28,500. 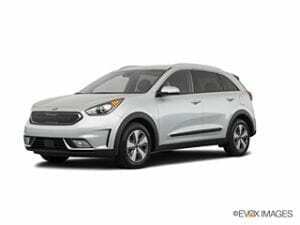 And while Kia rolled out a Niro electric vehicle late last year with availability set for some time in early 2019, it too will most likely be well above the hybrid’s base price of around $24,000. Combine this array of options with affordability and modern design and the Niro has captured interest. With a variety of engine options and an array of interior looks, the Equinox is a versatile favorite. A diesel option is rare for this class outside of the luxury market, though it does significantly add to the cost, upping the starting price to $31,000. Also notable is a standard rear-seat reminder, and the optional Surround-Vision technology ($2,145, available in a package) shows a bird’s-eye view of the car. The 2019 Ford Escape still is in the same generation as was introduced in 2013. But it’s added standard technology, such as keyless entry and start, and Sync infotainment system on the SE trim and above. The Escape also boasts 34 cubic feet of cargo space behind the second row seat, impressive for this class. Perhaps the grandfather of crossovers — or, certainly, the big brother to the smaller HR-V, above — the 2019 CR-V has few changes to boast for this model year. It’s a staple of the crossover market that Honda says has been the best-selling crossover utility vehicle for the past 21 years. With the CR-V, you’ll enjoy a spacious back seat as well as a good amount of cargo space for this class. It’s worth noting, however, that the CR-V’s base model lacks features like the Honda Sensing driver assistance package, as well as Apple CarPlay and Android Auto integration, standard on the Hyundai Santa Fe and Chevrolet Equinox. The base engine also misses out on the same gas mileage figures of the turbocharged version, so it’s best for those willing to upgrade. Mazda’s mid-sized crossover has performed exceptionally well in safety tests, and standard driver assist features are a nice perk. In addition to a backup camera, rear cross-traffic alert, blind spot monitoring and city brake support are standard features on the 2019 CX-5, with other options like Mazda Radar Cruise Control and Lane Departure Warning with Lane-keep Assist available at other trim levels. Technology features add to the appeal, with a well-equipped Mazda Connect infotainment system with Bluetooth, Stitcher radio and Pandora integration, though the base model lacks standard Apple CarPlay and Android Auto integration. 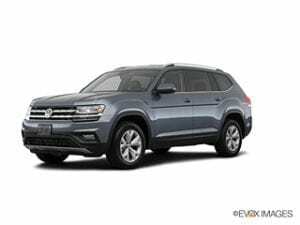 Though on the larger end for a crossover, the Atlas is built on the same platform as Volkswagen’s Beetle and Golf, among others, making it a crossover by definition. A main advantage is passenger space, as this three-row, seven-seat SUV is designed for the American market. It’s worth noting that it beats out the competing three-row Honda Pilot in combined gas mileage, as the Atlas gets a combined 24 mpg to the Pilot’s 22 mpg. All-wheel drive is also available for this SUV. Before shopping for a new vehicle, first shop for an auto loan. Potential lenders can include a credit union, bank or online lender. Apply to a few in order to compare offers and see which one is best for you. 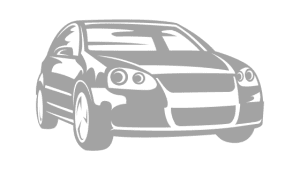 Dealers are often able to raise your APR and make profit off your loan, not just your car, so the best way to avoid this is to go in with a preapproved auto loan. If the dealer can beat it, great — you can feel confident knowing that you shopped around for a good rate. On LendingTree, you can fill out an online form and receive up to five potential auto loan offers from lenders at once, instead of filling out five different lender applications. To earn a spot on our list of best crossover SUVs for 2019, vehicles received at least 4 out of 5 stars from Edmunds consumers and Kelley Blue Book experts. They also earned 5-star ratings from the National Highway Traffic Safety Administration (NHTSA) and/or are included in the Insurance Institute for Highway Safety (IIHS) list of top picks for 2019. All vehicles have a starting MSRP below $40,000, with base trim level MSRPs shown above. Standard features are included, while available or optional equipment — which may add to the price of the vehicle — are indicated as such. MSRP’s listed above are accurate as of the date of publishing.